There was much excitement recently over Berk Breathed’s apparent revival of Bloom County this week. 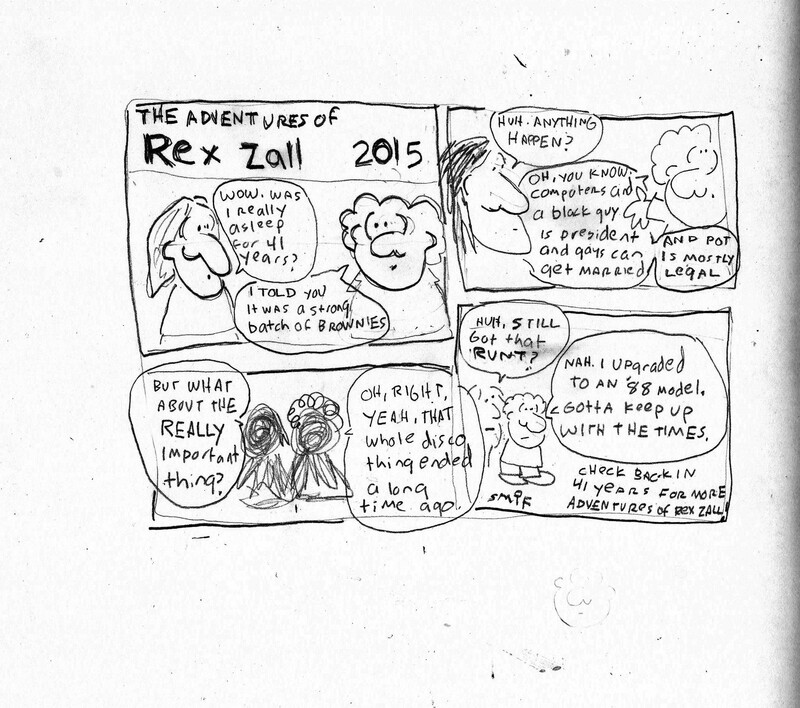 Which raised the even more important question among the masses: What about The Adventures of Rex Zall? We last saw Rex in 1974 in a high school newspaper. 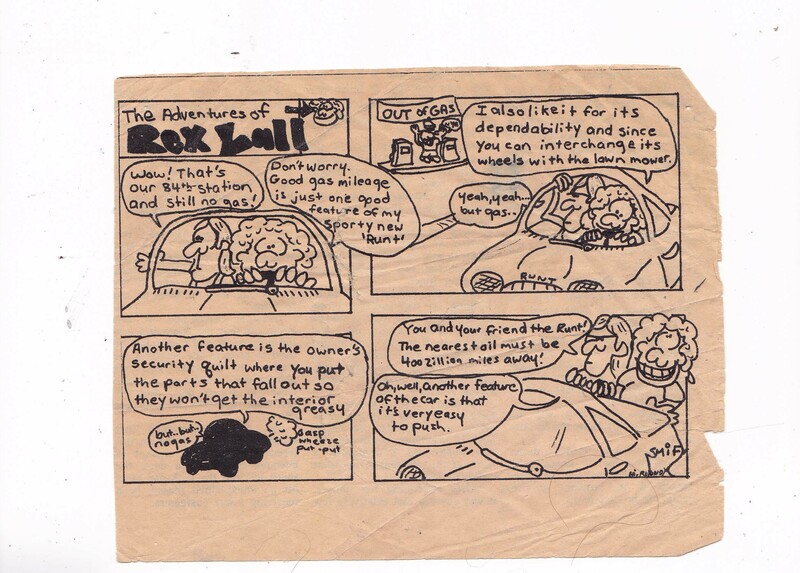 The artist had figured out that drawing a comic strip was easier than turning in his journalism assignments. But whatever happened to Rex and his faithful sidekick, whose name escapes me? And suddenly you remember why it went away in the first place. But good luck anyhow, Mr. Breathed. This entry was posted in running and tagged art, life, yellow brick road. Bookmark the permalink. No “Hi, Mo!” near the signature? it was there till she got all crabby that i wanted to interrupt her Big Important Illustration Assignment Due In An Hour to make scans for me.